The Trailercam Delux system includes a 2-channel monitor. This hardwired camera can be added to the system as an aid to reversing, or to provide greater coverage in a large horsebox. 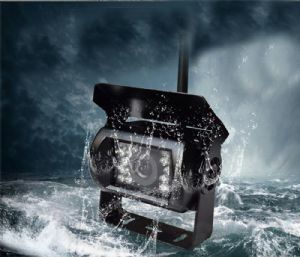 Housed in a very robust metal casing, fully gasketted for water-proofing and featuring built-in infra-red lighting. Comes supplied with sturdy mounting bracket and lead for connecting to the vehicle's 12V or 24V supply.